Hi. I recently purchased this scope off "another web site," and it arrived tonight. 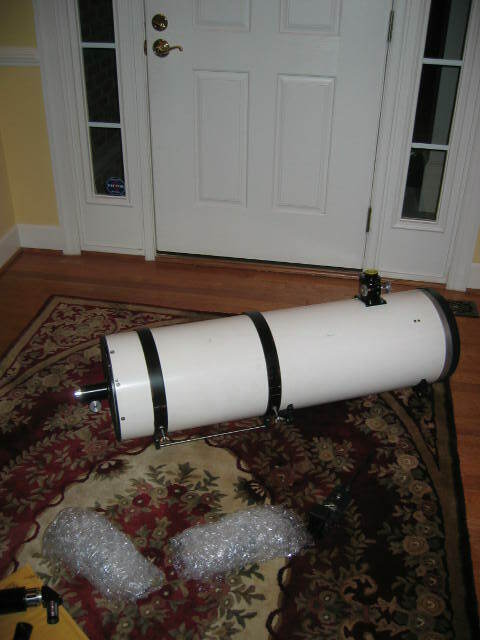 The seller had told me he'd purchased it from Parks as a used telescope. The scope also has a dust cover that says "Parks 10." It looks like this was assembled from vintage parts from the late 1970s/early 1980s (UO finder, Novak mirror cell, Parks focusers, etc...). The back of the mirror (photo below) also is interesting. I'm not sure what "SI" stands for, unless it might be Star Instruments. 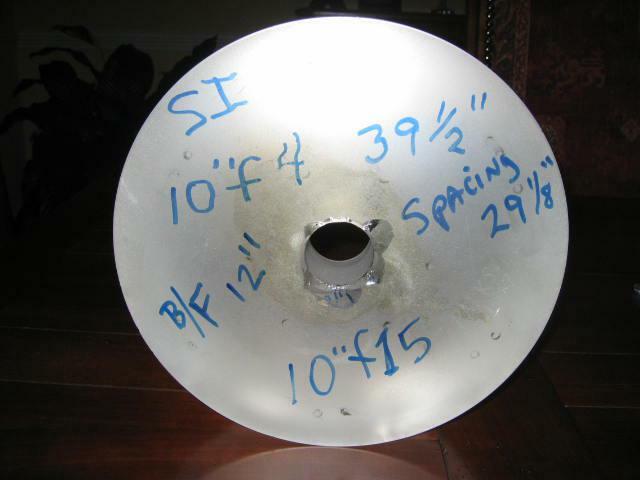 After a quick look through some old S&Ts, however, it doesn't appear that Star Instruments was selling this design -- all they offered were small Newtonians and refractors. Does anyone here recognize this scope or parts? Any thoughts on possible origins would be much appreciated. I believe that SI is indeed Star Instruments, presently based in Flagstaff Arizona. 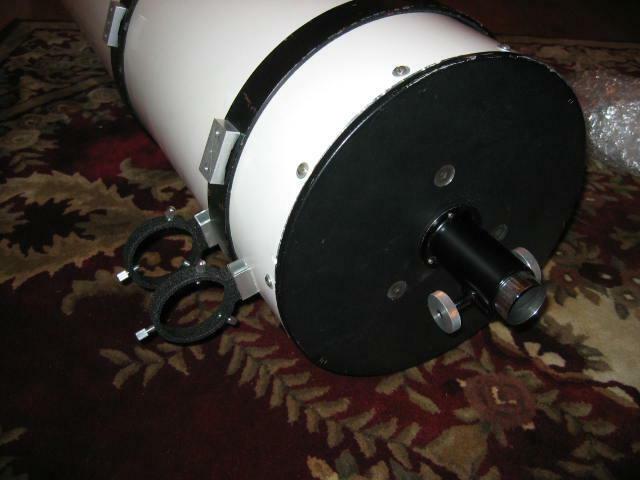 I had a similar 10" f15 classical Cassegrain without the Newtonian secondary and focuser and construction was also largely Parks components. They sold scopes along these lines late 70's early 80's and the optics in mine were quite good. Not sure what it is, but it sure looks neat. Hahaha, its eyegore and it does look neat. Very cool to be sure, also looks to be HEAVY!